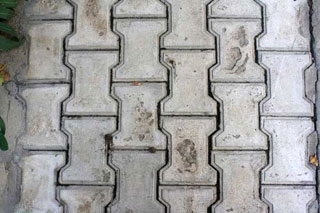 One of the few applications tessellation has is in the use of actual street pavings. Pavings as such have a long history, seen world wide. Indeed, from as far back as * the streets of Cairo were paved. 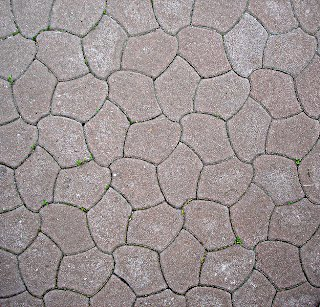 Of interest mathematically is to what tilings have been chosen for this purpose; in that what is it exactly that makes a certain tiling attractive enough to be manufactured as a paving? Undoubtedly, there is mostly a utilitarianism concern here. Mostly, pavings are ‘plain’, with no interior design, with a rectangle favoured, more or less accompanied in popularity with a square. Another favoured instance, albeit decidedly lesser so than those above, is a hexagon. Together, these three appear almost invariably by default, likely on account of their sheer simplicity of familiarity, as no real thought is needed on the part of the designer or person who is laying these as to how these pave; it is obvious, even to the layman. As such, it can be said that the instigator of such instances lacks imagination, and so aesthetically in this context such instances are excluded from this page. Another frequently to be seen paving is of narrow rectangles (block pavers), typically arranged in a herring bone or basket weave patterns. (A reason the rectangle being favoured for this is not only utilitarian, but is that in a herring bone pattern the pavers are ‘self locking’, and so need less frequent replacing; other formats are ‘looser’). Although these can be described as slightly more ‘interesting’ than those described above, to me at least it still does not display enough imagination to qualify as ‘of interest’, and so again such instances are thus excluded on those grounds. As such, pavement designs are to all intents and purposes anonymous, with any one design simply described as according to a trade name or catalogue number. However, on occasions, some do indeed acquire more attention than others, and not necessarily due to sheer frequency as might otherwise be thought. Simply stated there are two pavements with named associations, with the perhaps more well known ‘Cairo tiling’ in Egypt and lesser known ‘Baldaso de Bilbao’ in Spain. Indeed, although the Cairo is indeed notable in frequency of sightings, it has really only come to prominence by chance matters. I document the full story on my Cairo pages, but in brief, it was so named from a single sighting, by James Dunn in a 1971 mathematics article who stated it was a ‘favourite’ (due to the sheer extent, but not frequency, although likely it was indeed by then). Martin Gardner in a mathematics 1975 article picked up on this, in a sense misreporting from Dunn’s article, stating it was ‘frequently seen’, from which it then gained world wide fame. 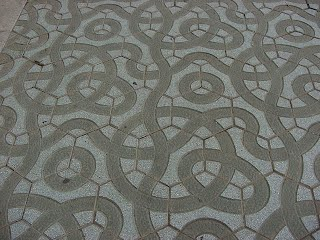 Furthermore, there is also another paving that has been given a name ‘Baldaso de Bilbao’ (Tile of Bilbao), although this lacks any tessellation element, and is rather of a geometric design of a circular composition, yet none the less, it is interesting on account of its popularity. Pleasingly, it has a documented history, as well as a named designer although both a little hazy as to specifics; different dates and designers are quoted, all of which I discuss below in more detail. This page is thus dedicated to showing those pavings that are thus a little ‘out of the ordinary’, thereby showing more imagination from the instigator. These are thus likely (but not always necessarily) to be of more interest than otherwise (with squares and rectangles), and furthermore of interest in that likely a non-mathematician has selected a certain tiling to manufacture, and so it is interesting in observing what a likely outsider to mathematics considers to be attractive. Below I show the world’s offerings of what I term as ‘interesting’. Also included are some pavings that are not strictly tessellations, but of optical illusions, and so as by default are ‘of interest’, showing imagination, despite being of rectangles, squares, or hexagons. Also, on occasions, I show some consisting of interesting geometrical designs. The countries shown are: Argentina, Australia, Azerbaijan, Brazil, Bulgaria, Canada, Canary Islands, China, Egypt, Ecuador, Germany, India, Japan, Morocco, Netherlands, Nigeria, Norway, Poland, Portugal, Romania, South Korea, Spain, Syria, Thailand, Ukraine, United Arabic Emirates, US and UK. Curiously, some countries seem to favour certain types. Spain seems to have a loose ‘tradition’ of illusion types, with three instances. Morocco favours those based on traditional Islamic patterns. This would thus not seem to appear by chance; does anyone know of the circumstances behind this? The distribution of interesting placements is seemingly at whim; some countries seem to have a rich variety, whilst others are totally lacking! Of the pavings shown, it can be seen that some instances are more popular than others, despite these being separated by continents, and so likely of some connection, although I do not see how. Is there an ‘international association of paving manufacturers’ to explain this? Of note is what I descriptively term as the ‘Wavy Rectangle’, ‘Dumbbell’, and ‘fused hexagons’ below. All of these feature extensively. The ‘wavy rectangle’ is possibly favoured due to a variety of placement possibilities, seen in no less than eleven countries: Australia, China, Japan, Norway, Romania, Slovakia, South Korea, Syria, Tunisia, US, Thailand and Vietnam (indeed, so prevalent is this design is that I have stopped adding any further examples). Another favoured one is the ‘Dumbbell’, with instances in Egypt, India, and US. The fusion of three hexagons is seen in Australia, China, Mongolia, and Ukraine. Note that this also allows for different placements. Of necessity, due to the obvious practical difficulties involved of visiting all the world’s towns and cities is that the selection here is necessity of an ad hoc nature, and cannot by any stretch of the imagination be described as ‘scientific’ as in ‘all encompassing’, as with the whole world to find pavings from, it is simply impractical to undertake systematic research in the field. Consequently, this can be described as a ‘just for fun’ page, a snapshot of the world’s most interesting pavings, but nonetheless, even in these early days of the investigation, one can see patterns emerge. As might be imagined, finding these on my part is restricted to web searches, mostly on Flickr, and a few personal contacts that have a like interest, with photos taken on whim as according to country of vacation visited. Unfortunately, it was not always possible to obtain copyright (no reply received), and where this is so, a link to the picture is given. Consequently, some countries here are (unfairly) heavily biased in their instances. For example, my two chief correspondents in this matter, Frank Housholder, in Germany, and Pam Garnett, in Egypt, have found many examples, and so instances from these two countries are likely over represented as against others. In addition, countries that are ‘off the beaten track’ are less likely to appear in picture databases. Furthermore, the pavings found are very much subject to the whims of the web; a paving could (surprisingly) be very popular indeed, and yet not show up in search engines. Indeed, before my researches, the frequently quoted and well-known Cairo tiling was to all intents and purposes invisible to Google (only with a specific place search would it show), despite its now established prevalence in many districts of Cairo! And so if that situation could occur in so widespread a paving, then other popular tilings may also have evaded detection. I also might just add that I am very interested in the ‘Cairo paving’ mentioned here, of which I have compiled a separate page, with many subsections. Any further details not covered, or indeed just general observations concerning this, would in particular be warmly welcomed. I would be pleased to receive any pictures from readers of this page of any ‘interesting pavements’ from around the world, and for obvious reasons, the more ‘off the beaten track’ countries so much the better, to which these would not necessarily show up in web searches. Of interest is to who exactly has designed any particular paving; generally this is not known, and the circumstances behind its installation. If any pavement designer has anything to say on this I would be pleased to receive details. The history of such pavement designs is apparently a surprisingly relatively recent phenomena, of which although the history is somewhat uncertain, probably dates back to the 1950s at the earliest, with the 1960s more likely. This can be determined by the introduction of such concrete pavers, as against clay pavers, of a rectangle form of much earlier dates (with information kindly supplied by John Knapman, a paving expert), which thus dates from this period. But exactly when these started appearing is unclear. Indeed, as yet I do not have an ‘early’ pavement picture of this type. As a rule, such matters are not mentioned in books on tiling with a strictly mathematical perspective. However, ‘historic pavements’ are discussed, briefly, in the bible of tilings, Tilings and Patterns, by Grünbaum and Shephard, page 9, accompanied by the caption ‘Some unusual street tilings seen by the authors in Europe and North America’. Their Figure 12 gives four instances, two of which are seen on this page. Indeed, the second and fourth are very popular indeed; ‘unusual’ here is (I believe) applied to the tile itself, rather than that of intrinsic rarity. Unfortunately, no indication is given as to when these pavings were seen. The book is of 1987. Has anyone any pictures of interesting street pavings before this date? 3 minutes 52 seconds. Making of the ‘dumbbell’ type; just watch the first thirty seconds, the same thing happens throughout! 3 minutes 30 seconds. Making of the ‘wavy hexagon’ type; again, just watch the first thirty seconds, the same thing happens throughout! This paving is very common in India, widely seen. Although most geometrical pavings are ‘abstract’, occasionally an Escher-like tiling is used, as in this example of a ram from Azerbaijan, by Mammad Huseynaliyev a physicist from Azerbaijan National Science Academy. The ram was chosen, not by chance, but for a specific reason, in that it is highly symbolic for the city of Nakhchivan, the capital of the eponymous Nakhchivan Autonomous Republic of Azerbaijan, located 450 km west of Baku. Many sculptures from medieval times featuring a ram can be seen across the region, hence the choice here. The curved figure with the ram paving inside is called a ‘Buta’ and is a typical detail of Azerbaijani national ornament and is considered the symbol of Azerbaijan. © J. Eric Lynxwiler. Havana, Cuba in May 2015. The terrazzo is in front of the 1912 train station but that station was modernized in the 1950s or so. The terrazzo likely dates to that renovation. 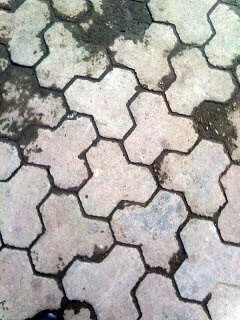 Egypt has a multiplicity of street pavings, of which one of these, consisting of pentagons, has become so well-know as to have the attribute ‘Cairo tiling’ given (by mathematicians, of which the term is widely used) to it, this dating from the 1971. Of which incidentally this is the only tiling having a name. Recently, I have been researching this particular tiling, of which various aspects remain unresolved. Its actual age is uncertain; the first decided reference being from 1971. Has any one seen this in any earlier publication? And who, or what body, implemented this? Where are they being manufactured? As I state above, the streets of Cairo have been paved for centuries, however, I am unaware of what exactly these pavings took the forms of. Have any of these actually survived? I would be most surprised, but given the history of Cairo I would say that there is still a possibility of some still surviving. Has anyone seen a drawing, or picture of these? Even relatively modern photos would be appreciated. An unusual tiling - a special type of octagon, a 'par octagon' (four sides are parallel). This is interesting mathematically regarding the parallel sides - is there some general rule as to why this would tile? The first of three pavings outside the Taj Mahal, Agra, which has some interesting pavings. This consists of two tiles. Different interpretation of this tiling are possible which this feature could explain its popularity: (i) This could be described as of ‘interlocked octagons’. (ii) Of two tiles, of star octagons and rhombs, or alternatively of either star octagons or rhombs as entities in their own right, with negative spaces. © Diana Biggs, Delhi. This particular paving is quite frequent in India, also being seen in Mumbai and Calcutta. Curiously, it is also found in Egypt and Romania, likely independently. © Yoshiaki Araki, In front of the Musashi-Koganei station of Japan Railway Chuo line, Tokyo. An instance of the 'Cairo tiling' in Japan! © Jun Nishiseko, Hamamatsu, Shizuoka Prefecture. Another instance of the 'Cairo tiling' in Japan! A feature of the ‘wavy rectangle’ here is that it can be placed in different ways to form a tiling (and so is of added interest); two instances can be seen in the same picture here. e so far) that uses traditional Islamic-type designs for its pavements. Computer-enhanced photograph of a street pavement in Zakopane, Poland. In short, although basics are stated, this can plainly to be seen lacking. All references, on the web and in articles and books  are seemingly taken from this single report. 1. Why is it in Zakopane, a smallish town with no known mathematical background? 2. Why is it outside the market place? For such a specialised tiling, it seems a somewhat ‘everyday’ place to install. Given the nature of the design I would have expected a more notable building or public work. 3. Why only tiling No. 9 (in particular) of the set of 28? A brief background to Heesch tilings. Heesch, with Otto Kienzle in 1963 , compiled a set of 28 tilings that can tile the plane in an isohedral manner without using reflections. Although the exact Heesch tiling number is not identified here, upon research this is based on Heesch tiling No. 9. 4. Is it confined to the two places as detailed? 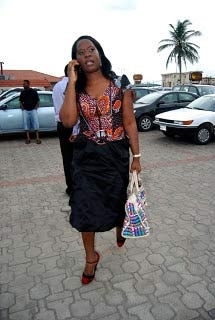 5. Who instigated the project and to what reason? 6. When was it installed? Possibly, this is it a 2001 installation, as at this time the market place area was renovated. Can anyone add anything to this? No detail is too small to mention. Conway, John H., Heidi Burgiel and Chaim Goodman-Strauss. The Symmetries of Things. A. K. Peters Ltd, 2008. Heesch, Heinrich and Otto Kienzle. Flächenschluss. System der Formen lückenlos aneinanderschliessender Flachteile. Berlin, 1963. Romania, or in particular Bucharest, has an abundance of interesting tessellating pavements. Yet another instance of the favoured ‘dumbell’ tile, seen worldwide. Note that the ‘dumbell’ has variations, and can be shortened or lengthened and yet still tile, as in the next photo. This can be interpreted as a variation of the well-known Cairo tiling, with circle arcs replacing the four ‘variable’ straight line sides. The simplest interpretation of this can be described as that of the ‘axe head’ tessellation, with a dividing line. Note that other, circle arc variations can be determined; New Mathematical Pastimes, by P.A. MacMahon, p. 105, gives some others. Probably the most favoured instance of the eight semi-regular tilings, of 4. 8. 8. An optical illusion; believe it or not, the tiles are rectangular! As broadly outlined in the introduction, Bilbao has become well known for a design on pavements, with ‘Baldosa de Bilbao’ (Tile of Bilbao), and cannot possibly be overlooked, of which it is used to pave the streets literally all over the town. Indeed, estimates are that 600,000 tiles are replaced each year, of a total through the years of 66 million. The design consists of a rosette motif with or without carved channels, the latter mostly serving a utilitarian purpose. The design was aimed at making pedestrians a little safer in Bilbao’s rainy climate (which is captured in almost all the photos), by allowing the water to drain into the carved channels and away from the surface of the tile, thus making it less slippery. Curiously, there are many other tile designs similar to the rosette style, and in different sizes, with some even pre-dating the Bilbao tile. The design is linked so strongly to Bilbao’s identity that museum and souvenir shops are stocked with ceramic mugs, posters, soaps, t-shirts, shoes, ties, towels, key chains, pastries and chocolates all featuring the rosette tile design. They even have a Facebook page (in Spanish) dedicated to them! Initially, the tiles were made using concrete and coarse sand, with a covering of iron shavings in a 15 x 15 cm format, though this kind of material didn’t adhere well to the ground and left many pedestrians who stepped on loose tiles soaked in rain water. Nowadays, almost all of the old tiles have been removed and replaced with new ones that are manufactured with cement at a standard size of 30 x 30 cm, although other, both smaller and larger formats can be seen occasionally, such as a ‘giant’ 60 x 60 cm tile. Initially endemic to Bilbao, the tile design was eventually exported to many cities throughout Spain and Argentina and other South American countries, and Africa (in the former colony of Equatorial Guinea). Dushanbe (the capital), Tajikistan. The first ‘arrow’ paving seen. Background matters as to this sighting, as the extent and frequency and went unresolved. An interesting sighting, in many ways, is of pavements of the city of York, United Kingdom. This consists of two conjoined regular hexagon, subdivided into further hexagons. Although in itself this is arguably not aesthetically the most exciting pavement design, what is interesting here is the age, described as of from the 19th century, as well as the extent, found throughout York’s back alleys. Further, and more accurately, these can be found widespread in the North East region of England, and in particular, Durham and Darlington. Indeed, unlike other cities and towns, York can in a sense be said to have ‘adopted’ this paving, as a York icon (similar to Baldosa de Bilbao (Tiling of Bilbao), although not to such an extent), not just in usage, with it appearing in many old back alleys, but also of a more modern-day appearance. Recently, as of 2015, ceramic tiles have been added to the exterior of the York Art Gallery, Centre of Ceramic Art, to acknowledge York’s paving past. Their history is most interesting, of which although much is known, the full story remains to be told. These were made (along with more orthodox rectangle pavers) by Joseph Woodard, of York, who formed the Tees Scoria Brick company in 1873 (wound up in 1972), and who took out a US patent, 191,504, for making what is known as scoria bricks, from the waste of the iron industry. However, these gradually fell out of favour, as according to modernisation with the introduction of the car, but are still surviving in back alleys and courtyards to the present day. When these went out of production is not known, but likely well before the demise of the company. Of note is the bluish sheen, formed as part of the manufacturing procedure. However, sad to say, these are still conflicting with the demands of the modern age as regards pavement usage, being replaced by ugly asphalt! One curiosity is that these are sometimes called ‘Rosemary Setts’, first referenced in a York council document, ‘Back Lane Resurfacing Policy’, of 3 August 2004, although it is a mystery why these are so-called. Does any reader know? Can anyone add to the story here (and in particular their naming)? I am aware of other writings by Bob Mullen, Chris Lloyd and Keith Robertson. I might just add that this notable and extensive York sighting has only recently come to my attention (July 2017), surprisingly so, given that I began investigating paving matters extensively in c. 2012, and so who knows, after all this time, what may still be out there. Although I wasn't going to include the commonly to be seen hexagon, I here make an exception. Of note is the sheer size of the hexagons - contrast with the doorway! 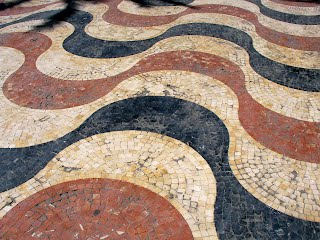 On occasions, pavements are designed with optical illusions in mind, and in particular, some countries almost make this a feature, namely with Portugal and Brazil, with wavy designs. Created: 2 March 2012. Updated: 14 September, 13, 21 November, 12, 17 December 2012; 9 March 2013. 11 January 2016: Zambia added. 15 January 2016 Austria and Switzerland added.